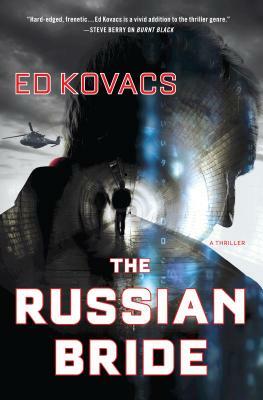 Major Kit Bennings is an elite military intelligence agent working undercover in Moscow. When he is blackmailed and compromised by a brutal mafia don and former KGB general, he knows that his military career, if not his life, will soon be over. With little to lose, he goes rogue in the hope of saving his kidnapped sister and stopping a deadly scheme directed against America. Yulana Petkova is a gorgeous woman, devoted mother, and Russian weapons engineer. And maybe more. Spy? Mob assassin? The shotgun marriage to stranger Kit Bennings takes her on a life-or-death hopscotch from Moscow to Los Angeles, from secret US military bases to Las Vegas, where she uses her wiles at every turn to carry out her own hidden agenda. Hunted by killers from both Russia and the United States, Bennings struggles to stop the mobster's brilliant deception—a theft designed to go unnoticed—that will make the mafia kingpin the richest man in the world, while decimating the very heart of America's economic and intelligence institutions. ED KOVACS has worked for many years as a private security contractor deploying to challenging locations worldwide. He is a member of the Association for Intelligence Officers, International Thriller Writers, and Mystery Writers of America. When not on a contract, he splits his time between his home in Southeast Asia and his aircraft hangar home at a Southern California airport.